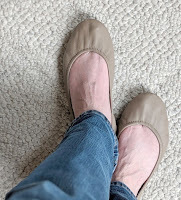 Sweetly B Squared: Sheec No-Show Socks & Tieks/Rothys GIVEAWAY!! I have wide feet so it's hard to fit into flats for me, usually. These look comfortable though!